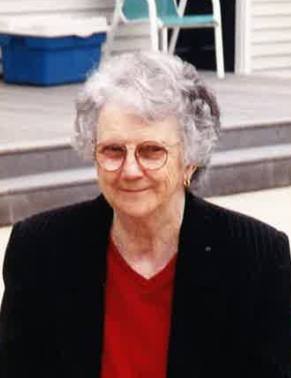 Adell Alice Collins Roper, age 93 of Forsyth County, passed away Thursday, April 4, 2019 at her home. She was preceded in death by her parents, Bunk and Artie Holtzclaw Collins; her husband, Holbert Roper; infant son; her brothers, Morris Collins and Bennie Collins. Adell was the eldest member of Pine Crest Baptist Church. She is survived by her children, Michael and Rachel Roper, Sheila and Tommy Carney, Vickey and Melody Roper; 5 grandchildren, Terry and Brandy Roper, Benji and Heather Roper, Kimberly and Eugene Mizelle, Kyle and Vicki Carney, Haleigh and Jason Sutton; 13 great grandchildren, Mason and Emily Roper, Nolan, Abbie and Wieland Carney, William and James Sutton, Bailey, Anna, Koltyn and Kynlee Roper,Halle and Dominic Mizelle; sisters in law, Helen Roper and Ruth Collins; brothers in law and sisters in law, Eddy and Linda Roper, Fairy Higgins, Mary Lou Roper, Marcus Roper; and many other loving relatives and friends. Funeral services will be held on Sunday, April 7, 2019 at Ingram Funeral Home Chapel at 2:00 p.m. with Rev. Ricky Waters, Rev, Carrel Pruitt, Rev. Dan Henderson, Rev. Craig Richard and Rev. Ronnie Waters officiating. Interment to follow in Sawnee View Gardens. The family will receive friends on Saturday, April 6, 2019 from 3:00 p.m. to 9:00 p.m. and Sunday from 9:00 a.m. until time of service.